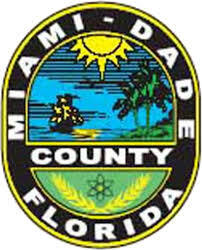 Miami-Dade County is a county located in the southeastern part of the U.S. state of Florida. It is the southeasternmost county on the U.S. mainland. According to a 2016 census report, the county had a population of 2,712,945, making it the most populous county in Florida and the seventh-most populous county in the United States. It is also Florida’s third-largest county in terms of land area, with 1,946 square miles (5,040 km2). The county seat is Miami. The county is home to 34 incorporated cities and many unincorporated areas. The northern, central and eastern portions of the county are heavily urbanized with many high rises up the coastline, as well as the location of South Florida‘s central business district, Downtown Miami. 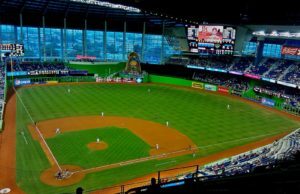 Southern Miami-Dade County includes the Redland and Homestead areas, which make up the agricultural economy of Miami. Agricultural Redland makes up roughly one third of Miami-Dade County’s inhabited land area, and is sparsely populated, a stark contrast to the densely populated, urban northern Miami-Dade County. The western portion of the county extends into the Everglades National Park and is populated only by a Miccosukee tribal village. East of the mainland in Biscayne Bay is also Biscayne National Park and the Biscayne Bay Aquatic Preserves. Juan Ponce de León was the first European to visit the area in 1513 by sailing into Biscayne Bay. His journal records that he reached Chequescha, a varianth of Tequesta, which was Miami’s first recorded name. It is unknown whether he came ashore or made contact with the natives. Pedro Menéndez de Avilés and his men made the first recorded landing when they visited the Tequesta settlement in 1566 while looking for Avilés’ missing son, shipwrecked a year earlier. Spanish soldiers led by Father Francisco Villarreal built a Jesuit mission at the mouth of the Miami River a year later but it was short-lived. After the Spaniards left, the Tequesta Indians were left to fend themselves from European-introduced diseases like smallpox. By 1711, the Tequesta sent a couple of local chiefs to Havana, Cuba, to ask if they could migrate there. The Cubans sent two ships to help them, but Spanish illnesses struck and most of the Indians died. After the Second Seminole War ended in 1842, William English, re-established a plantation started by his uncle on the Miami River. He charted the “Village of Miami” on the south bank of the Miami River and sold several plots of land. In 1844, Miami became the county seat, and six years later a census reported that there were ninety-six residents living in the area. The Third Seminole War was not as destructive as the second one. Even so, it slowed down the settlement of southeast Florida. At the end of the war, a few of the soldiers stayed. MiamiDade County FL Real Estate.